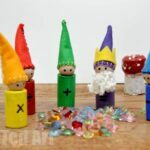 Welcome back to more crafty fun! 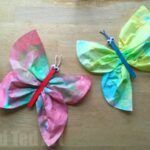 Today, we have an adorable little butterfly cork craft, that is super easy for younger kids to make too (in fact, we will be doing this with Pip Squeak’s Reception class sometime soon!). 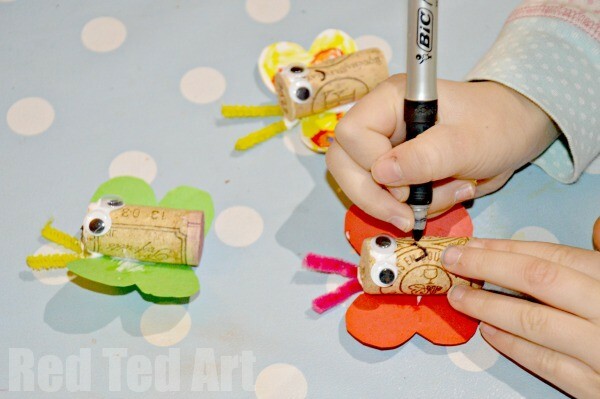 These little cork bugs or butterfly corks are a great way to “use up” some kids art, or you can make them using brightly coloured paper and make a set of Rainbow Butterflies. 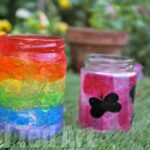 Either way this cork craft, makes for a great Spring or Summer Craft with the kids – make a whole set and have lots of fun! 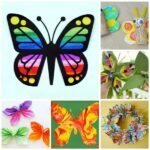 We adore Spring Crafts for Preschoolers as well as Butterfly Crafts for Preschool.. so these are simply DARLING! 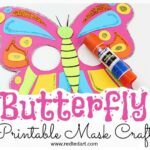 Our Rainbow Butterfly Cork Set! 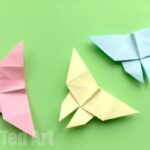 1) Begin by cutting out your butterfly wings – the easiest way to do this, is to fold your paper in half and cut “almost” heart shapes out. 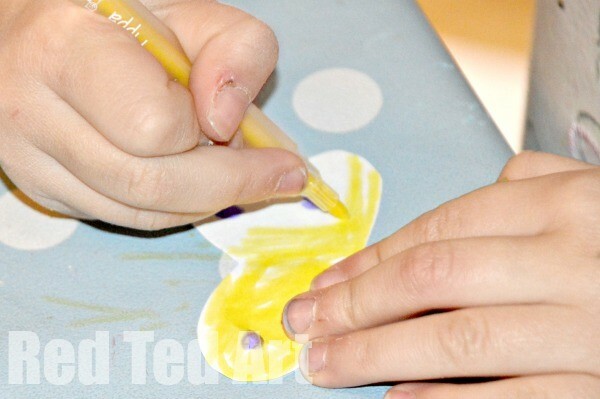 Use kids’ art to this, plain coloured paper, or white and get the kids to colour it in.. your choice! 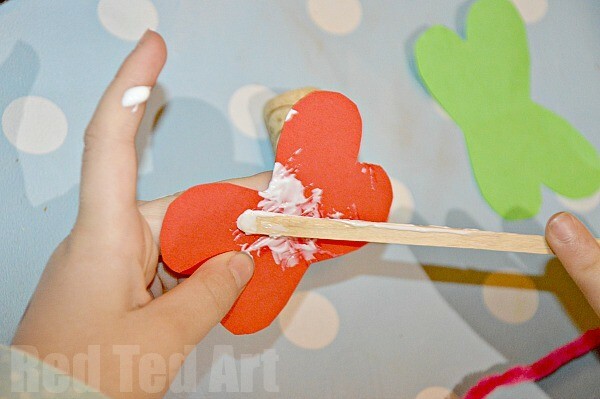 2) Apply lots of glue in the middle of your butterfly wings and press them to the back of your cork. 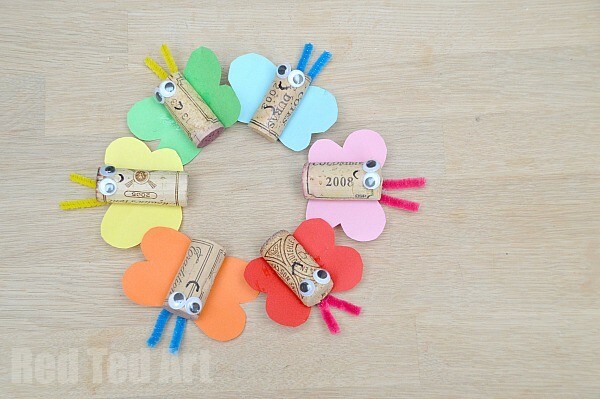 3) Now add the googly eyes to your butterfly cork. Cut a short piece of pipecleaner, bend it over and with lost of PVA stick it to the back of the cork. 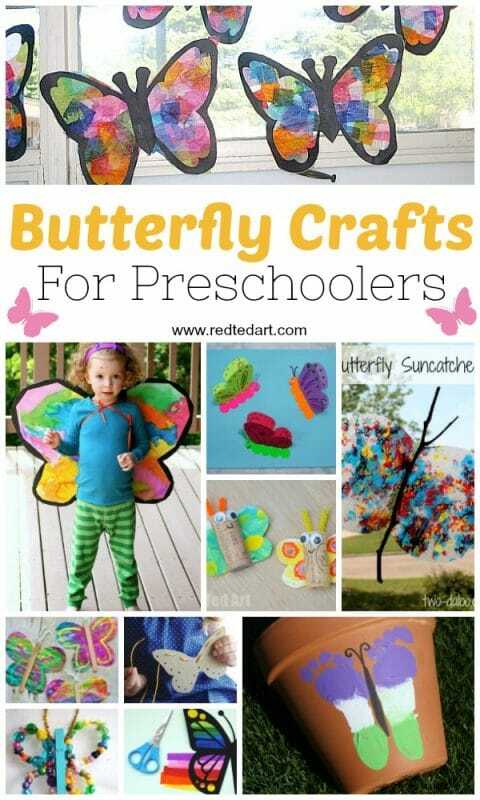 You can also make the butterfly antennae out of paper or card if you want to make this a “super thrifty” project. 4) Add final details – such a mouth! 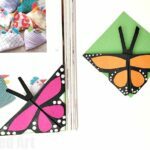 5) Leave to dry fully and your Butterfly Cork Craft is FINISHED! Make lots and lots and lots. 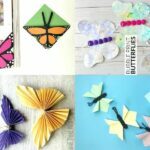 You can also watch how to make these little butterflies on our video…. don’t forget to Subscribe to the Red Ted Art Channel! Lindos proyectos para trabajar con ninos, excelente. 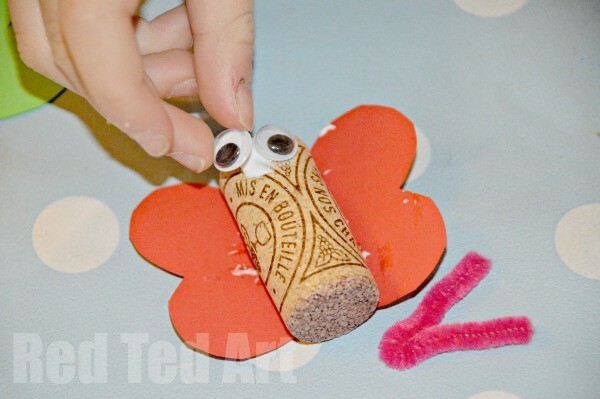 Why not use the natural properties of cork by sticking the pipe cleaners directly into the cork top and tacking the wings to the back ? I tried it and it works!